Uncle Harry is no Excuse! “Why should I be careful about what I eat? My Uncle Harry drank like a fish, smoked two packs a day, and ate a diet of potato chips and soft drinks. Yet he lived to be 9O years old!” Everyone seems to know an Uncle Harry who has broken every rule in the book, and survived to a ripe old age. We can’t deny the existence of the Uncle Harry of the world, but you should not use them as an excuse for bad habits of your own! What you may not know about Uncle Harry is that he happened to be blessed with particularly good genes; he may have led a physically active life during all his ninety years; and he may have taken care of himself in other ways, such as handling stress very effectively. Perhaps these weren’t as obvious as his eating and smoking habits, but they certainly are at least as important. Even if you’re not an Uncle Harry, you may feel that you are going “unpunished” for a host of dietary and lifestyle sins. Perhaps you drink too much coffee, or eat a lot of refined foods, or don’t get enough sleep or rest. Yet, in spite of these violations of common sense, you seem to be fairly healthy. How can you abuse your body as badly as you do, and still be able to function? A clue to the answer comes from the experience of the mariners on the sailing ships of two centuries ago. As we all have heard, during their voyages, these sailors’ diets were often critically deficient in vitamin C. Many developed symptoms of severe scurvy, particularly in some extreme cases where ships had been damaged in storms or were caught in the doldrums for weeks on end. One of these severe symptoms was very peculiar. A wound which might have been completely healed for the past twenty years would reopen again, just like a fresh wound! How could this happen? 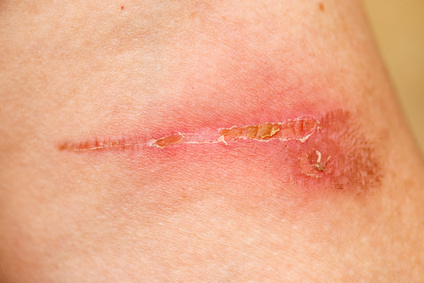 Well, scar tissue is made up primarily of a connective tissue protein called collagen. The production of collagen requires certain nutrients, especially vitamin C. When the body is extremely deficient in vitamin C, it is able to withdraw it from storage in the body, utilizing it in areas that are critical for sustaining life. In the case of the unfortunate mariners, their wounds opened up because the scar tissue was dissolved by the body in order to release the vitamin C it contained. The vitamin C from the scar tissue was transferred by the body to the heart, lungs, brain, or other more vital spots. 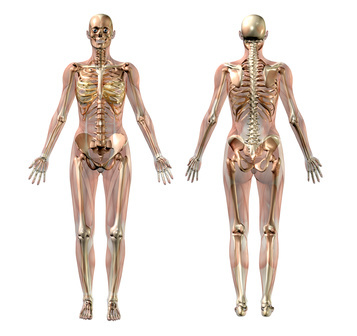 Your entire body is a warehouse that stores nutrients and other vital substances. If you miss a few meals or suffer some other stress, your tissues are not immediately affected because your body can draw from its reserves. Now, if your metabolic reserves aren’t one hundred percent to begin with, you are at greater risk of having nothing to draw on in case of an emergency. When your body’s reserves get all the way down to zero, then your body will either not be able to perform a given job, or it will have to begin tearing down other tissues to get the material to carry out that function. When the mariners’ vitamin C reserves dropped to zero, their bodies broke down old scar tissue to obtain some vitamin C for vital bodily functions. This is why we can go on for so long without noticing the harm we are doing to ourselves through improper diet. Our body has some reserves, which we can draw on when we are not taking in the proper nutrients. Although we may think we are fairly normal, we may actually be functioning at a less than optimal level. We tend to dismiss many minor symptoms that are actually signs that tissue is deteriorating from lack of nutritional substances. We ignore our body’s warning messages until finally it reaches the breaking point, and then “suddenly” develop a serious disease. I have seen many clients who expressed puzzlement at getting sick some time long after a very stressful period in their lives, rather than getting sick during the stressful time. The reason, of course, is that their reserves held them during the stressful time and they had not done what was necessary to rebuild those reserves afterwards. If their nutrition level was marginal or deficient, then the slightest further decrease would cause some physical problem. For any given nutrient, the nutrition level must be 100% before any reserves can be stored away. 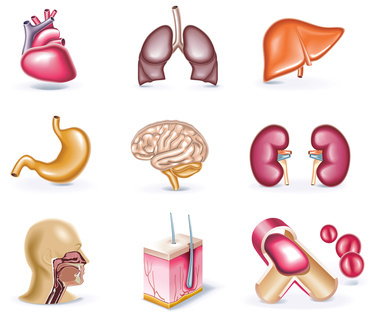 Which organ system breaks down depends on which nutrients are in short supply. For example, suppose that you have a long-standing zinc deficiency. As your deficiency develops, you may notice increased acne, slow healing of wounds, a change in your body odor, a decrease in your vision, or a reduced sense of smell, but you may not realize is that these problems are all related to zinc. Finally, if you are a man, you may notice pain in the prostate, or have difficulty urinating. These prostate-related problems, also perhaps due to the zinc deficiency, may finally drive you to the medical doctor where the problem is “identified.” But all your earlier symptoms were also early warnings that your zinc reserves had been depleted. 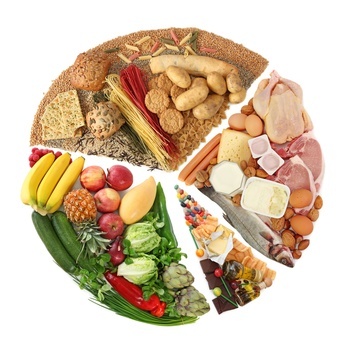 Many chronic diseases begin during periods of nutritional deficiencies. Arthritis, for example, is closely related to deficiencies in the metabolism of potassium (especially in the proper organic form), among other substances. Similarly, the prevalence of heart disease in our society is evidence that our nutritional and metabolic needs are not being met. By the time the cardiovascular system has begun to deteriorate, many other problems have already developed. 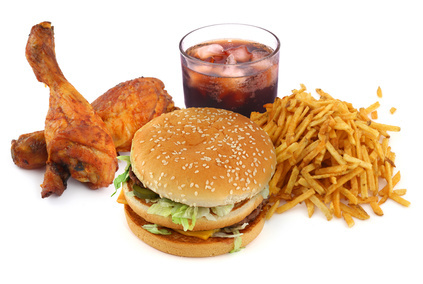 People may ignore all these other problems, and the end result is heart disease. By believing that “common every day aches and pains” are normal, we more easily lull ourselves into believing that we are healthy and that “disease” is for other people. The stores of nutrients and other vital substances in your body are known as your metabolic reserve. Your metabolic reserve is an indication of your overall level of health and proper nutrition. The muscle testing techniques of Health Kinesiology, some of which I have described in previous articles, provide an extremely accurate way of measuring this reserve. After using Health Kinesiology techniques to determine your body’s nutritional needs, we can begin to restore proper nutritional balance through adequate diet and a nutritional supplement program. 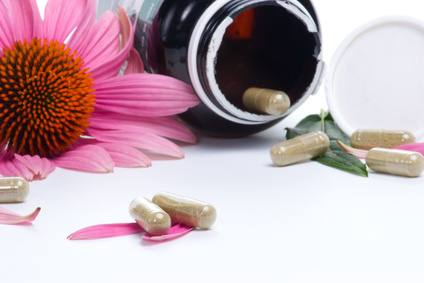 Your supplement requirements will probably be quite high at first, to allow for immediate repair work such as cleaning out the mucus produced by allergic reactions, improving digestion, and so on. After your body’s toxicity has been reduced, supplements will be needed to provide the raw materials required for the repair of damaged tissues. Only after that is done can nutrients be stored in your body’s metabolic reserve. Using Health Kinesiology techniques — we can monitor this process, constantly evaluating your progress and determining where your supplements are being used. As each stage of the repair process occurs and you become healthier and healthier, your supplement requirements will drop. As reserves of a given substance are built up in the body, that supplement requirement may be completely eliminated. Certain supplements, however, will probably never drop completely because these substances are so widely deficient in our diet – for example, vitamins A and C, or minerals such as calcium, manganese. 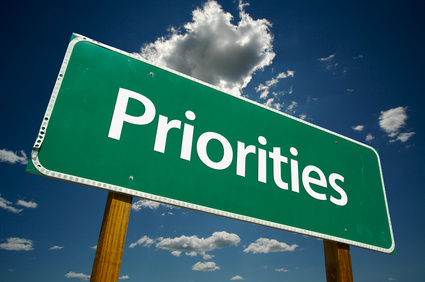 Your body has a system of priorities that determine where your nutritional intake and metabolic reserve are to be used. As we saw in the example of scurvy above, the body will tear down tissue to meet its immediate nutrient needs when the metabolic reserve has been depleted. One reason why the body is seemingly able to handle nutritional abuse so well is that it is able to shuffle substances around. This allows the body to keep the most vital organs functioning at the expense of the less important ones. This is governed by your body’s priority system. Less important tissues might include your teeth, or your joints. You may experience problems in these areas as your body “borrows” needed nutrients to keep more important organs, such as your brain, your heart, and your lungs, functioning properly. Various peripheral symptoms indicate this process is occurring. Degenerative, non-infectious diseases have been increasing rapidly throughout this century, because our bodies are not being supplied with enough of the nutrients they require. An arthritic joint isn’t as life threatening as an unreliably functioning heart, and so people may develop arthritis as their bodies assign priorities to the nutrients that are in short supply. This is why heart disease responds so spectacularly to proper nutritional programs. The body assigns very high priority to cardiovascular functioning, and so as soon as you begin supplying proper nutrients to the body, they are used where they are most critically needed, and the heart problem is repaired very quickly. One of the great powers of the muscle testing techniques of Health Kinesiology or Applied Kinesiology, is that they allow us to utilize the body’s own priority system to optimize what we do for the body. We can determine what is the single most important thing that the body requires right now, what is the second most important thing, and so on. By this means, we can always give the body what it wants most at any given time in order to meet its most immediate needs. This helps to account for the phenomenal results that can be achieved by using these energy techniques. As an example, suppose you go to a chiropractor for an adjustment, but after a while your problem returns. You may go back and get it corrected again, and then again. The reason that the adjustment doesn’t hold is that your body has a higher priority need which must be met before your joint problem can be corrected. 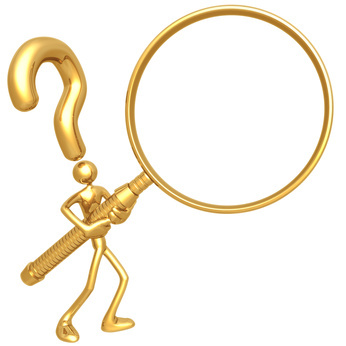 We can determine through muscle testing what your most immediate priority need is. Once that need is determined and the proper correction given, your problem can stay fixed. For example, if the knee alignment is the real cause of a back problem, no amount of back adjustment will permanently correct the problem. Only when the knee is corrected will the compensations from the back be correctable. When problems are corrected within your body’s own priority system, they will stay fixed unless the unbalancing situation re-occurs. 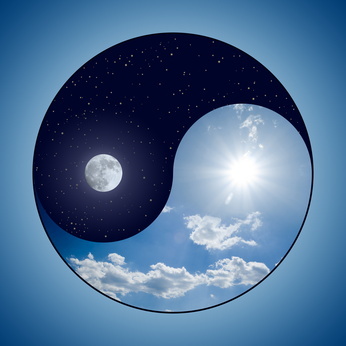 Eventually, you may reach the point where even in the face of this unbalancing event you will be able to stay balanced. For example, as we have shown in a previous article, through Health Kinesiology techniques we can retune your body’s energy so that you are no longer disturbed when exposed to formerly allergic foods. It is not only physical factors that can unbalance your body’s energy. Muscle testing techniques enable us to identify disturbing influences that are both physical and nonphysical, and to determine which of these areas represents your body’s highest priority at any given time. I have identified a number of categories of physical factors where problems can occur. These include (a partial list) (1) exercise and rest; (2) structural problems; (3) proper nutrition and diet; (4) allergy / intolerance; (5) body position memory (a tendency for problems such as injuries to recur when your body is in a particular position); (6) miscellaneous factors such as the electrical currents produced by metal fillings in the teeth. I have also identified many different psychological factors which work within your body’s priority system. Briefly, these factors include emotional, mental, behavioral, spiritual, intellectual, and psychophysiological functions. All these categories have precise definitions which are beyond the scope of this article. A final category of problems which I call Energy Blockages, cuts across some of the other categories, and is related to the flow of energy through the body’s tissues. A whole range of problems may result from blockages of this energy as this blockage interferes with the metabolism of specific nutrients within specific tissues. Allergy is actually a special form of energy blockage. Many times when an injury fails to properly heal, even after years, it is due to this type of energy blockage. Pain, phantom limb sensations, many toxic chemicals, and the like are also included here. By using Health Kinesiology techniques, I am able to determine which of these possible problem areas represents your body’s most immediate priority need, and we can then go on to correct that problem. For example, we may determine that it is now time to figure out how much exercise is proper for you, and next we may need to work on an emotional energy disturbance. Then it may be time for a chiropractor to adjust your back, and time to determine your optimum diet. Everything is done in order of priority, and in the sequence in which the body is best able to benefit from these corrections. Using your body’s own energy system to determine its immediate needs, we are able to get the energy flowing properly and in balance, so that you become integrated and can function at your highest level of capability.